According to government statistics published in February 2014, some 510,000 people took up an apprenticeship in England during the 2012/2013 academic year. This represented a 231,000 increase on 2009/2010 statistics. Retail made up the third largest percentage of apprenticeships by sector, accounting for some 20 per cent of the total. So, what makes retail apprenticeships so popular? The fact is retail encompasses many job roles, and the possibilities for career progression are significant. While you may start out as a sales or stockroom assistant, you could soon find yourself being promoted to senior sales assistant, then supervisor or team leader, up to department manager and then overall store manager. There are also many roles beyond the shop floor, such as buyers, merchandisers and style advisors. The variety of positions available in this sector is clearly part of its attraction to would-be apprentices. You should think of an apprenticeship as an opportunity to make a good, lasting impression, as a way to get contacts within the industry and ultimately as a way to progress in your career. It may sound like a basic thing, but many people forget the importance of being on time and not just for your first day. Don’t be afraid to arrive a bit early, you can always have a coffee so that you are ready and relaxed for the day ahead. Alternatively, if you have the opportunity, you can use it as a way to get ahead before everyone else arrives. It will also show your boss that you are a keen and reliable member of staff. Being personable and helpful without being intrusive is a real skill and one which you will no doubt master during the course of your apprenticeship. 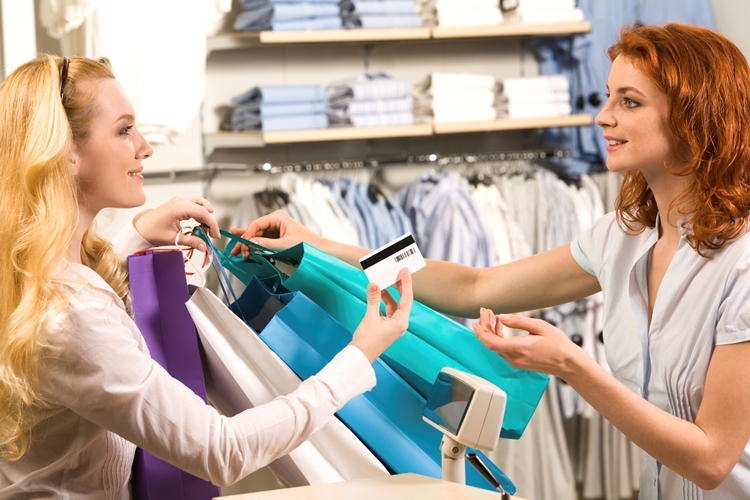 Providing good customer service is vital if you are to succeed in retail. Once you have mastered the art, the successful sales will no doubt follow. It is also something that will be recognised by your colleagues and bosses and may even help you secure a promotion once your apprenticeship is complete. If you are naturally organised, then this is a real asset in the business world, particularly if you decide to take on an apprenticeship in retail. The good news is that being organised is a skill that can be learnt. Whether it’s making sure the shop floor is tidy, or sorting out the paperwork, there are plenty of opportunities to refine your organisation skills. Making lists, thinking ahead and troubleshooting potential problems all help. Once you have mastered these skills and completed an apprenticeship in retail, you will have gained invaluable experience, which automatically makes you more attractive to future employers. If you are thinking of continuing in the company where you took your apprenticeship, you can demonstrate that you have been able to learn the tasks necessary to take the next step in your career. You may even be able to persuade your employer to create a new position for you. Also, if you are already working in a company, you are well positioned to find out about posts that are advertised internally and talk knowledgeably about a company’s processes. The internet has meant people have altered the way they shop for certain things, but retail is still a very strong industry that should present you with many employment opportunities. Beginning your career as an apprentice is just the first step.